The Milwaukee Bucks jumped out to a big early lead on Atlanta and went on to beat the Hawks 117-106 in Atlanta on Sunday. Giannis Antetokounmpo had 33 points and 11 rebounds and Khris Middleton, who has struggled early this season, finished with a season high 27 points. Middleton also dished out nine assists. He started out 2 for 11 from the field before getting his offense rolling. Rashad Vaughn, who was inactive for the first few games, went 4 for 6 from three-point range to finish with 12 points. The Bucks are playing without center Greg Monroe. Coach Jason Kidd said Monroe will miss the next two weeks with a left calf injury. The Bucks will return home to host Oklahoma City on Tuesday night at the BMO Harris Bradley Center. 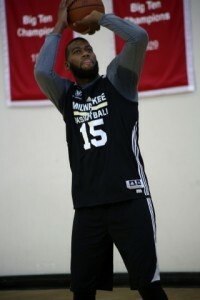 The Milwaukee Bucks shot just 25.6% in the first half and went on to lose to the Sacramento Kings 69-65 in the opening round of the NBA’s Summer League Playoffs in Las Vegas. The Bucks took a 49-48 lead heading into the final period and the game remained close the rest of the way. The Bucks took a 61-55 lead with 4:41 left to play before Sacramento mounted the comeback to win. 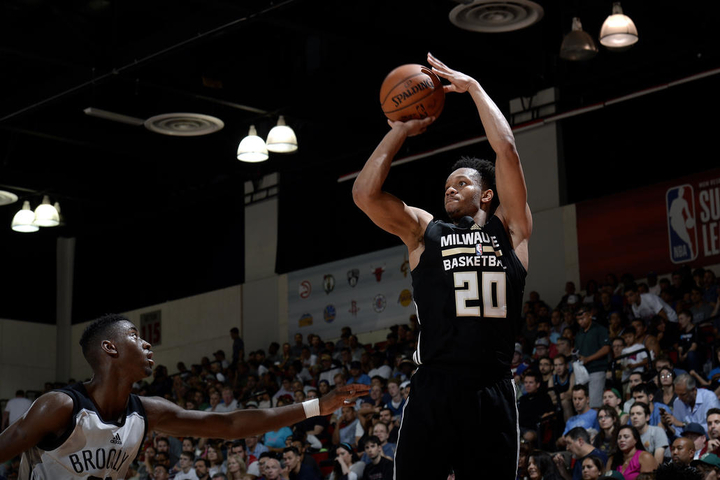 Rashad Vaughn, who has played well in summer league action, finished with 12 points on just 4 of 18 shooting from the field. 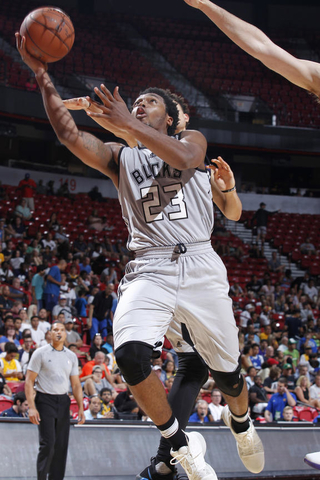 Rookie Sterling Brown also added 12 points, 6 rebounds, four assists and three steals. In four games, Brown is averaging 10.8 points, 4.8 rebounds, 1.8 steals and 1.8 assists. He has also made 6 of 13 three-pointers. 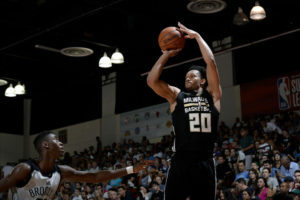 The Bucks (1-3) loss means they will conclude summer league play with a matchup against the Utah Jazz (0-4) on Friday night at 5 p.m.
Rashad Vaughn scored 21 points and first round draft pick D.J. Wilson added 17 points and eight rebounds, but the Milwaukee Bucks dropped to 1-2 in Summer League play, falling to the Los Angeles Clippers 100-93. Wilson scored 10 points in the first six minutes and had 15 points at halftime, hitting 3 of 4 three-point attempts. The Clippers tightened their defense on Wilson and he managed just two points in the second half, a basket in transition. The Bucks led 75-71 after three quarters but started the fourth with 10 straight missed shots, which led to their downfall. Newly acquired Sterling Brown added 14 points, 4 rebounds and 3 blocked shots, while former Badger Bronson Koenig finished with 9 points. The Bucks will play on Wednesday in the first round of the Summer League playoffs. Their game time and opponent will be decided after Tuesday’s games. 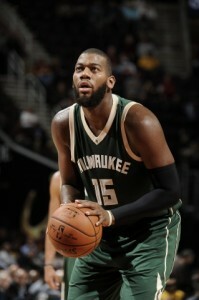 The Milwaukee Bucks ended their 12-game road losing streak, knocking off the Phoenix Suns 101-95 on Sunday. Rookie guard Rashad Vaughn delivered a pair of three-point baskets in a critical fourth quarter stretch, Michael Carter-Williams scored 20 points with nine rebounds and six assists and Greg Monroe delivered the game winning basket with 20.6-seconds left. It’s the third win in four games against Phoenix in Arizona after losing 24-straight in Arizona from 1987 until 2013. Khris Middleton led the Bucks (11-18) with 26 points. The Milwaukee Bucks won their first exhibition game in three tries, knocking off the Cleveland Cavaliers 110-101 in Cleveland on Tuesday night. After going 26 minutes the night before against Memphis, LeBron James didn’t play for the Cavaliers. Either did Kyrie Irving and Kevin Love. The Cavaliers led by three going into the fourth quarter, but the Bucks bench outscored the Cavs reserves 35-23 the rest of the way to win for the first time in the preseason. Greg Monroe and Rashad Vaughn each scored 19 points and Johnson added 16 points for Milwaukee. Former Bucks Mo Williams and Richard Jefferson had 18 and 16 points respectively for Cleveland. 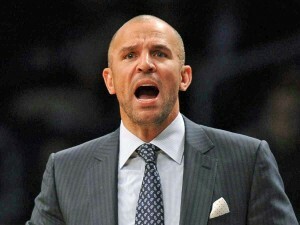 The Bucks next host Washington on Saturday night at the BMO Harris Bradley Center. The Milwaukee Bucks dropped their preseason opener, 105-95 to the Bulls in Chicago on Tuesday night. The Bucks led by three points at halftime, then rested four of their five starters the rest of the way as Chicago pulled away for the win. It was only a preseason game, but it was clear that a real rivalry is brewing between the two teams. The Bucks and Bulls will face each other four times during the regular season, the first of which comes Jan. 5 at the United Center. Jimmy Butler and reserve Doug McDermott scored 23 points each to lead the Bulls. Rookie guard Rashad Vaughn got the start for the Bucks and responded with a team-high 20 points on eight of 14 shooting from the field. The Bucks held the Bulls to 37 points and just 28% shooting from the field in the first half.